Dealing with requirements is necessary in order to be successful in the agile development of software, systems and services. That’s why microTOOL GmbH, a Berlin-based software developer, has released a new software package: objectiF RPM. It is a client server solution that supports local and decentralized scalable teams in developing products. The focus with objectiF RPM is on the interaction between requirements engineering and agile development. It is not necessary for agile development that requirements be fully defined before developer teams can begin with their work. 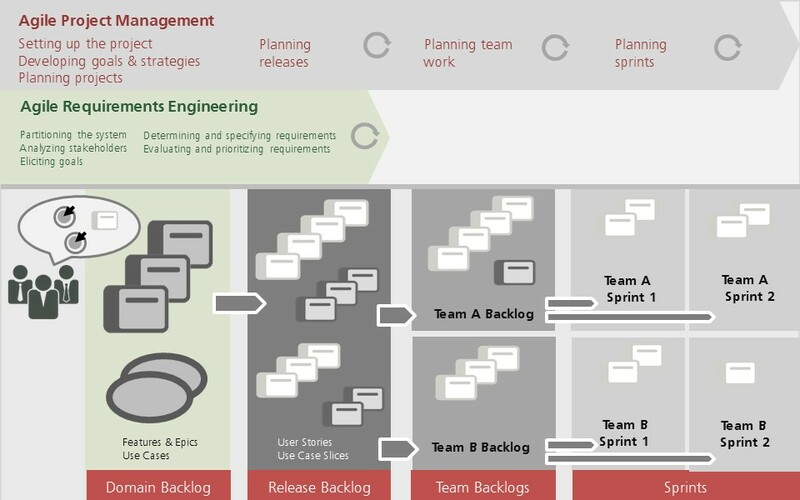 The goal in requirements engineering for agile product development is to “produce” requirements that are realizable within a short time and that can be used for the sprint planning by developer teams. The requirements engineering calls for regular requirements updates and provides requirements that deliver a high value for the stakeholders. objectiF RPM handles the entire process of producing software, systems and services – from the requirements elicitation through to the requirements analysis and modelling with SysML- and UML-diagrams, with the capturing of stakeholders and goals as well as the definition of the system context, system partitions and system architecture through to the project planning and project execution on the basis of the requirements. The software offers comprehensive backlog management for the project execution. The software supports requirements engineers, business analysts, system architects, project managers as well as project participants in local or decentralized teams and testers. The best scenario for using objectiF RPM is working in a single or multi-team. Everyone is able to access the central database using their windows client or their web browser. microTOOL recommends web access for decentralized teams. Because the user interfaces are generally identical it makes no difference for teams whether you work online or in your local network. The tool also supports work with internal and external stakeholders. Besides agile development microTOOL places a large emphasis on working in hybrid projects with objectiF RPM. Trying to be agile in a company that, beyond their development needs, is not agile can be very challenging for many organizations. With objectiF RPM these companies combine classic workflows with agile ones in order to create a hybrid approach. Particularly companies that operate in a regulated industry and have to stick to rules (and prove that they have) are supported. objectiF RPM is available in German and English. More information can be found here https://www.microtool.de/en/requirements-engineering-agile-development-with-objectif-rpm/ A free online test in the microTOOL cloud can be found here. Find more press releases here.